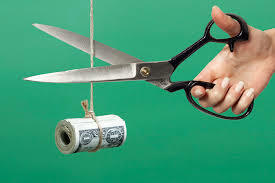 situations, it may make business sense to cut your commission. so quick to take less money for your services, clients may assume that you don’t know what you are doing. losing the business. If you are OK with that, make this your go-to. have less money to market your property. That’s why I don’t reduce my rate. want to walk away or take less. repairs or a price reduction. largest asset, and I wouldn’t trust it with someone who won’t give you 100%. like this one, I am worth every penny that you will pay me. © Copyright McKissock. All Rights Reserved.